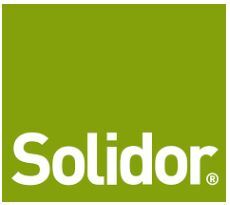 Protect your home with a solid timber core from Solidor! 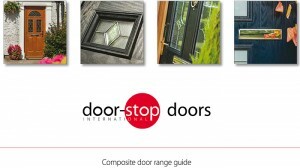 Try out our fantastic new door builder and see what style suits your home! Extend your living space with the perfect conservatory, available in a range of different configurations, designed with you entirely in mind. Guild Home Improvements offer a range of doors to match your expectations of style and security. Our doors are low maintenance while still giving you the opportunity to create your own tailor-made door. Along with quality, we have not forgotten style. Whether you live in a traditional or modern home, we have a design to suit. With a wide variety of colours, woodgrain finishes, glazing options and hardware, every door will be tailor-made to your exact requirements. REHAU 70mm doors can really make the most of the entrance to your home with a superb selection of styles for you to choose from. Whether it’s chic contemporary or quietly traditional cottage style or Edwardian, we have just the door for you. REHAU 70mm doors boast a low-level threshold option, which complies with the latest building regulations, making wheelchair access easier and have also brought a PVCu Bi-Folding door to the market. French Doors offer superior stability through steel reinforcement and high-security locking mechanisms that will ensure ultimate peace of mind against a burglar attack. 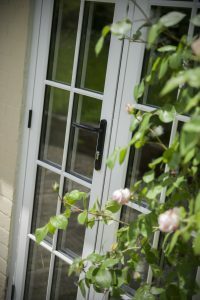 They are the popular alternative to the ’tilt or slide’ patio door – stable doors, or residential front doors. In addition to your new door, think about adding a canopy, porch or conservatory. A canopy will shelter you from the sun or rain while a porch can provide a surprising amount of valuable extra space. And, a conservatory effectively brings your garden right into your home so you can enjoy it all year round. 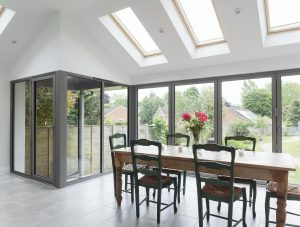 With endless possibilities, Aluminium bi-fold doors make rooms look bigger, making living space more flexible. Imagine opening up into a conservatory onto a terrace or dividing a lounge and dining room or simply just offering a wall with a panoramic view.